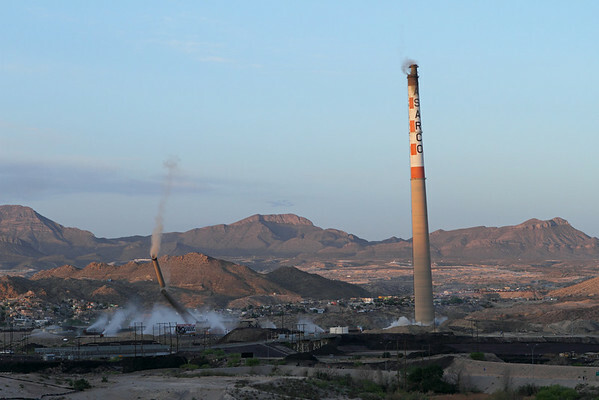 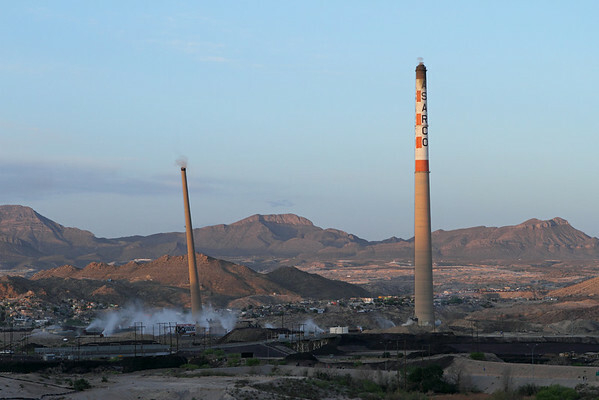 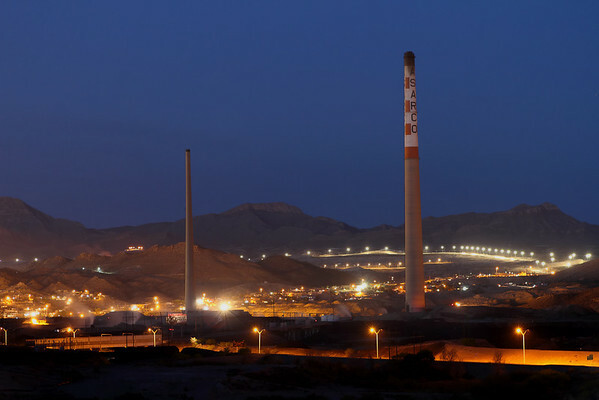 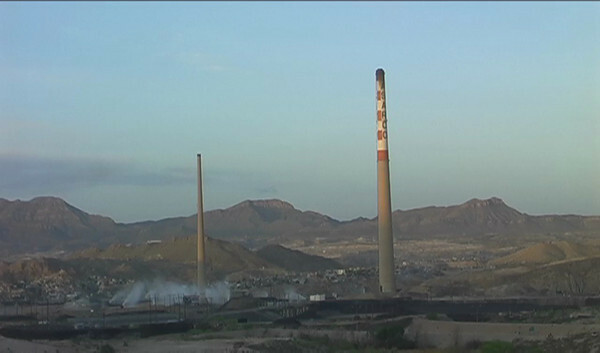 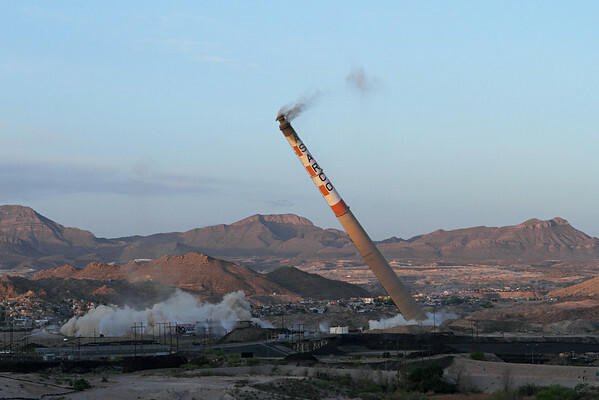 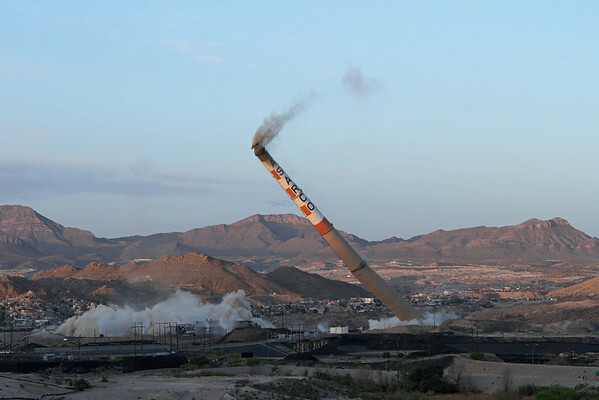 The final moments of two Asarco smoke stacks. 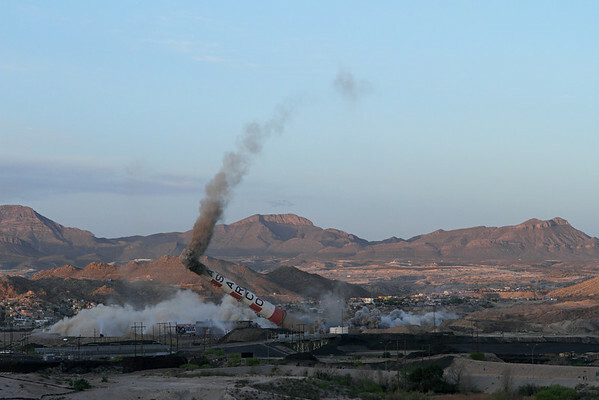 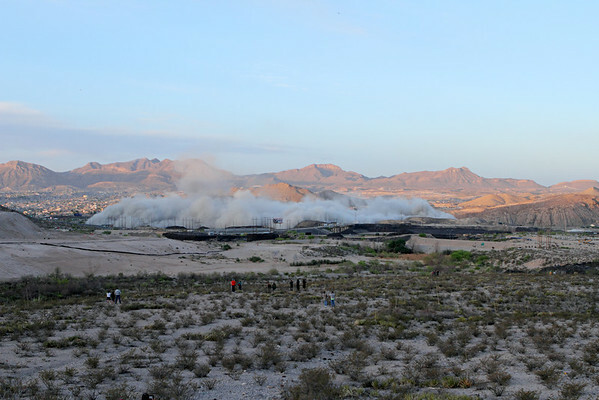 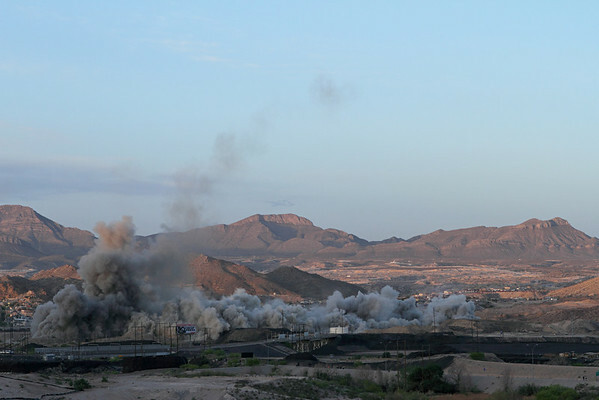 The last view of the Asarco skyline, April 13, 2013. 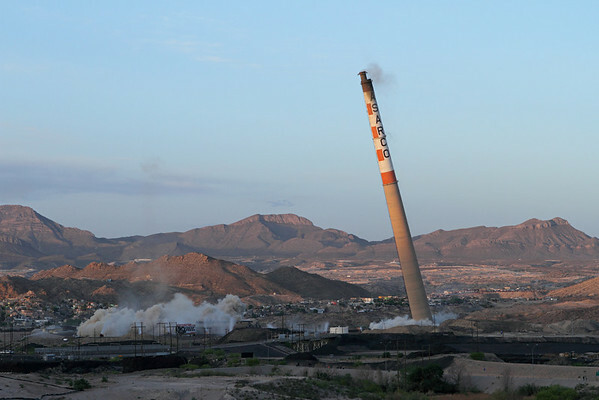 Small stack - 612 feet high, built in 1951. Main stack - 828 feet high, built in 1967.